The Istanbul Municipality and the provincial administration have joined efforts to restore the Bulgarian "St. Stefan" church. 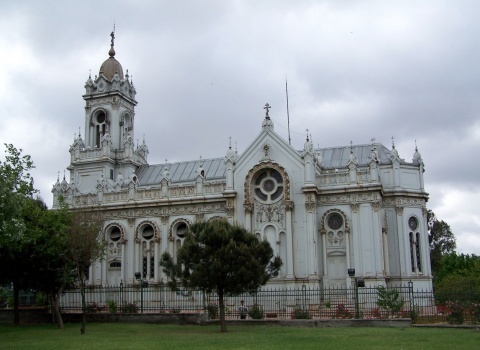 According to Hurriyet Daily News, "the parts of the church that have become dirty and carbonated will be cleaned thoroughly with detergent water, while the missing ornaments on the fa?ade will be replicated using original material. The crooked parts of the roof will also be renewed." The Bulgarian "Saint Stephen" Church, also known as the Bulgarian Iron Church, is a Bulgarian Orthodox church in Istanbul, Turkey, famous for being made of cast iron. The parts were manufactured in Vienna and then transported via the Danube River to Bulgaria and through the Black Sea to Istanbul. The Church was inaugurated in 1898 by Exarch Joseph and marks the beginning of the Bulgarian exarchate. According to a legend, Sultan Abdul Azis, was not inclined to let Bulgarians have their own church, but yielded to the pressure under one condition – for the church to be built only in a month. Bulgarians found the solution by making the church from cast iron. In the last few years, the Bulgarian State and the Istanbul City Hall have made significant efforts to raise funds for the church's renovation and maintenance, but those funds are still insufficient. The 110th anniversary of the iron church was celebrated at the end of 2008.